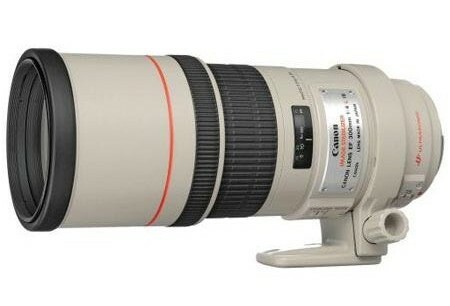 Part of Canon’s f/4 series L lenses the EF 300mm f/4.0 L IS USM has up to two stops of image stabilization which ensures that the lens mounted on a camera system can be used to shoot hand-held with up to two stops slower shutter speed than normally possible. Canon has also provided two stabilizer modes one to actually stabilize the image against camera shake and the other one to ensure that panning is no affected. At 300mm the tele-lens offers a fast f/4 aperture making it suitable for the purpose of most lighting conditions. If you’re into sports or wildlife photography and low light is something that is an occupational hazard for you then the 300mm f/4 should be something that you can consider for its speed and range. Retailing at $1450 this is certainly a tag pricy but for a professional earning his bread and butter this is more than a bargain. The closest focusing distance of the lens is 4.9 feet or 1.5 meters while the diagonal angle of view is 8° 15′. The rear focusing elements ensure that the lens barrel never extends during focusing. 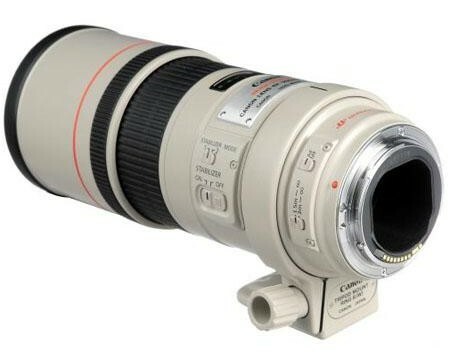 Canon has provided its ring-type USM technology (Ultra-Sonic Motor) which makes the lens very quiet during focusing. Overall auto-focusing performance of the lens is very impressive. The construction of the lens consists of 15 elements arranged in 11 groups. The external dimensions of the lens are 3.5″ x 8.7″ and it weighs 1190 grams. The lens takes a filter of specification 77mm. 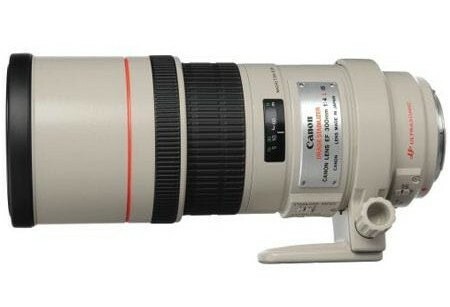 Also check out it’s big brother Canon EF 300mm f/2.8L IS II USM.